As I cleaned out 12 years of clutter from my office this week in preparation for CMTA's big March 28 move to a stone's throw from the Capitol, one thing came to mind -- California and I need a fresh start. The move will take care of my itch, but I have a few things the State should consider as a refresher for it's own house. Among the detritus of a decade's worth of paper, press releases, issues archives, pesky "to do" lists, reports, and un-expensed receipts, I came across three very worthy items that deserve California's attention. 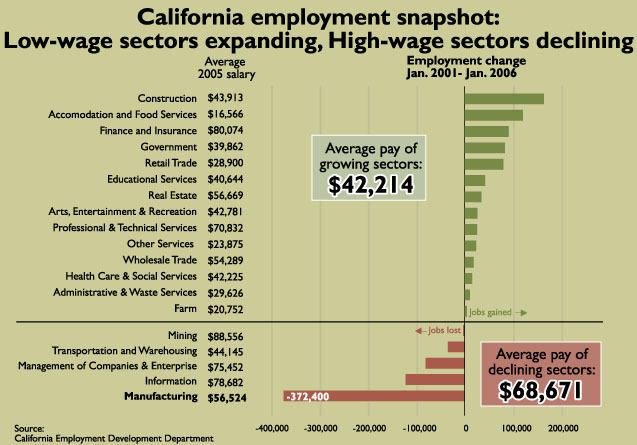 The recruitment tool, the original Commission (and the 2006 request), and the Proclamation were meant to be important cylinders in the engine of high wage manufacturing growth and certainty in California. All are lifeless. All need a fresh start. First the fact that there is no California recruitment agency (AKA someone accountable for the loss of 400,000 lost manufacturing jobs) charged with the State's economic security as it pertains to our biggest wealth creator is at the least, worrisome, at the worst, negligent (See Tesla Motors ... Buck Knives ... Intel's wafer fab ... Oregon's new solar cluster). The Local Economic Development agencies are doing yeoman's work at the local level -- and usually understaffed -- but we need a statewide organization that can lead, oversee, track, market and advocate. If we had one, they'd be diligently working on new recruitment tools, much like the 300-page brochure unearthed in my office this week, and making a case for competitive tax incentives and some degree of certainty in policies affecting job creators. Third, the Legislature and Governor, in these times of budgetary debate, need to once again affirm that manufacturing and the always-to-follow R&D jobs are the lifeblood of Californians -- not to mention new global warming innovations -- and provide the much needed revenue and growth needed to help pull the State out of it's $16 billion deficit. March 28 is my fresh start. I'll be at our new digs at 1115 11th Street working on California's fresh start.